A quick and easy way for existing trainers and assessors possessing the older TAE40110 qualification to upgrade to the new TAE40116 qualification. We’ve discovered people have many questions about the upgrade program. We’ve answered many of these below for you. 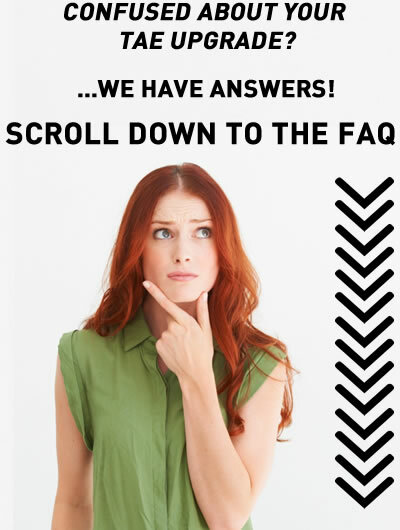 If you are considering this course, please scroll down and ready the Frequently Asked Questions section. Do your TAE Upgrade with Pinnacle one of two ways! 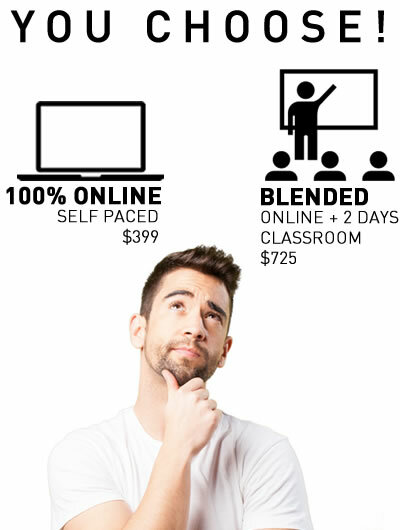 100% online, or face-to-face in one of our classroom programs (with online pre-course component). Students who meet the prerequisite requirements (scroll down for details) and are deemed competent will receive a Certificate IV in Training and Assessment (TAE40116), which is recognised under the Australian Qualifications Framework. This certification is nationally recognised. The Qualification is issued by Pinnacle Safety and Training (RTO 40496). For those who require the prerequisite TAELLN411 Address adult language, literacy and numeracy skills, we have a package price of $549.00 pp. Call us to take advantage of this $79.00 pp saving. This TAE Upgrade program is a critical step for existing trainers and assessors. Trainers and assessors who possess the older TAE40110 qualification will have until 1 April 2019 1 July 2019 to meet the new credential requirements. In July 2017, Skills Ministers agreed to update the training and assessment credential requirements in line with the changes to the TAE Training Package, to ensure the VET workforce has appropriate skills in designing and developing assessment tools and identifying and evaluating LLN requirements. The course is focused on assessment design and validation practices. If you have previously achieved competency for TAEASS502, you will receive credit transfer for this unit and may not be required to complete all modules. If this applies to you, please speak to one of our Sales and Service Specialists about your enrolment options. IMPORTANT - Applies to both Blended and Online programs: If you do not already hold the unit of competency TAELLN411 Address adult language, literacy and numeracy skills you will need to complete it first (click here). This LLN course is 100% online and may take up to 15 hours to complete. 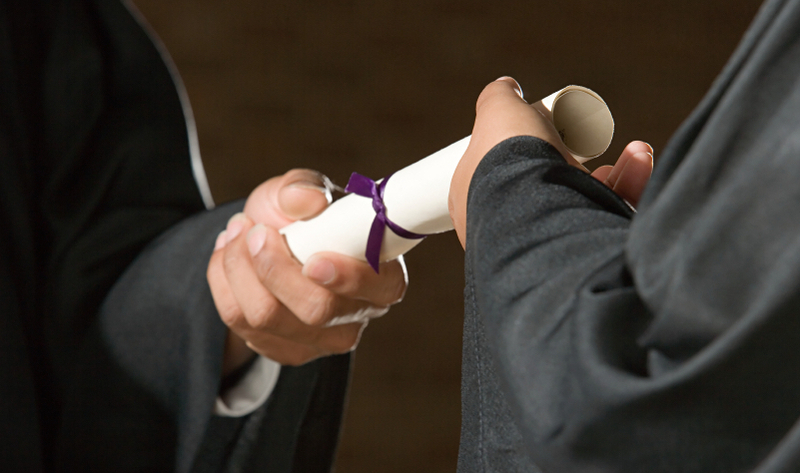 Q: I hold a TAA qualification, can I enrol in the TAE40116 upgrade course? A: Unfortunately students holding TAA qualifications are ineligible to enrol in TAE40116 upgrade courses, as the TAE40110 qualification is required to upgrade to TAE40116. Students with a TAA qualification wishing to achieve TAE40116 need to undertake the full TAE40116 course. Q: I hold a BSZ qualification, can I enrol in the TAE40116 upgrade course? A: Unfortunately students holding BSZ qualifications are ineligible to enrol in TAE40116 upgrade courses, as the TAE40110 qualification is required to upgrade to TAE40116. Students with a BSZ qualification wishing to achieve TAE40116 need to undertake the full TAE40116 course. Q: I hold a TAA or BSZ qualification, can I apply for RPL? A: Yes - however, however please note that there is a significant amount of documentation and evidence required to successfully obtain RPL. This is detailed within the RPL Kit. It should also be noted that students who are successful in obtaining partial RPL for the TAE40116 qualification will require gap training, undertaken by attending further face to face training which in many cases is the full TAE40116 course. Our RPL kit is available here. Q: What does an RPL application cost? A: Costs associated with applying for RPL can be found in the RPL kit which is linked above. Please note fees for RPL apply to the application process and Pinnacle’s time to assess the RPL. The fee does not guarantee an RPL will be granted. Q: I don’t hold TAE40110, but I have a lot of experience when it comes to training and assessment and think I am eligible for recognition of prior learning (RPL). How do I go about applying for this? A: To apply for RPL for the TAE40116 qualification, please click here. This RPL form is highly detailed and will take substantial time to complete if you are to be successful in obtaining full RPL so please read it thoroughly and complete all aspects in as much detail as possible. Q: Given the above, is it worthwhile applying for RPL from TAA or BSZ to TAE40116? A: That is up to you. As our courses are delivered holistically, meaning the units of competency are not individually assessed and competency is not obtained until you have completed the whole course, RPL applicants usually find the RPL process counterproductive due to the gap training required. Q: I hold the TAE40110 qualification and the TAEASS502 unit of competency but want to attain a TAE40116 qualification. What options do you have available? A: If you already hold a TAE40110 qualification and the unit TAEASS502A and want to upgrade to the TAE40116, we have a simplified RPL kit available for you. Q: I only need to complete the TAEASS502 unit of competency, do you offer this as a stand-alone unit? A: We do not offer the TAEASS502 unit as a stand-alone unit. We have decided to deliver the TAEASS502 unit as part of our TAE upgrade program which also includes the gap assessment for three other units of competency. Assessing students on these three units as well as the TAEASS502 unit allows us to issue the participants with a full TAE40116 qualification upon successful completion rather than just a statement of attainment for TAEASS502. Q: I hold TAE40110. Why should I do more than just the LLN and TAEASS502 units required by ASQA? A: We believe in value-adding for our students. ASQA has previously required trainers and assessors to upgrade to the most current TAE qualification. Although this is not a current requirement, we believe in future-proofing Trainers for this constantly changing industry. If in future ASQA decide to only recognise the most current qualification then you will not need to do yet another upgrade. For example, holders of the BSZ or TAA qualifications who didn’t upgrade when the option was available, no longer have any upgrade options available to them and will have to complete the full TAE40116 qualification from scratch, with no Credit Transfer available. With all this in mind, we advise that the minimal amount of additional work required to complete the TAE40116 upgrade is a common sense option and good value professionally. Q: Why have you got the BSBCMM401 unit of competency in the Upgrade qualification? A: Pinnacle’s delivery includes BSBCMM401 - Make a presentation as a compulsory elective - it supersedes and is equivalent to BSBCMM401A - Make a presentation. The unit’s requirements are mostly covered by TAEDEL401A and TAADEL402A with the small knowledge gaps being covered during the course. Q: Aside from the 2-3 hours pre-course work, is your face to face TAE upgrade course completed in the two workshops days or is there post course work? A: Our face to face TAE Upgrade course has been specifically designed with the intent that all learning and assessments are completed within the two workshop days, and our trainers make every endeavour to assist you to complete the assessments in the workshop sessions. However, if you are not confident using a laptop and creating and modifying Word documents you may find you are not able to complete the course in the two day timeframe. Similarly, if you had to leave the class early or you struggle with concentration at the course, you may find you have to complete some assessments after the two day workshop. Q: How long after completing the two days will my assessments be marked and my certificate issued? Heavy demand for this course may mean that marking of your assessments is not always able to be completed during the two days, and extra time may be required. The prerequisite documentation for your TAE40110 and LLN units of competency need to be verified by the issuing RTO prior to issuing your TAE40116. Sometimes we can experience delays with issuing RTOs or ASQA verifying your qualifications so to avoid any further delays please ensure you have uploaded these prior to commencing your course. Q: It is my understanding that I cannot train or assess after 1 April 2019 1 July 2019 if I don’t have my TAE40116 qualification. What if I have completed my upgrade course, but am waiting for my certificate, perhaps because of the reasons mentioned above? Am I able to work as a trainer / assessor? A: You should direct this question to your employer. Please be aware that the requirement to upgrade from TAE40110 to TAE40116 was announced by ASQA in 2017 however many students have left their upgrade training until close to the 1 April 2019 1 July 2019 deadline. Whilst Pinnacle Safety and Training will do our best to expedite the steps that enable issuance of the qualification, students who enrolled for courses close to the deadline i.e. February and March, may not have allowed sufficient time (see above FAQ for timeframe queries) and Pinnacle cannot take responsibility for any impact this may have on you or your employment. Q: I hold the older TAELLN401A, not the newer TAELLN411 - is this suitable? Q: Can I RPL TAELLN411? A: Yes, you can. Contact us for an RPL kit. Alternatively, we recommend students undertake our online LLN program. TAEASS502 - Design and develop assessment tools (core) – supersedes and equivalent to TAEASS502B and TAEASS502A. Credit Transfer available. TAEASS401 - Plan assessment activities and processes (core) – not equivalent to TAEASS401B (addition of new element), therefore no credit transfer available. Candidate to check if TAEASS501A covers the content in TAEASS401. TAEASS403 - Participate in assessment validation (core) – not equivalent to TAEASS403B (addition of performance criteria), therefore no credit transfer available. Candidate to check if TAEASS503A covers the content in TAEASS403. TAELLN411 - Address adult language, literacy and numeracy skills R2 (core) – supersedes and is equivalent to TAELLN411 (R1) and TAELLN401A. BSBCMM401 - Make a presentation (elective) - supersedes and is equivalent to BSBCMM401A - Make a presentation. Mostly covered by TAEDEL401A and TAADEL402A. Small knowledge gap answered with a few written questions. Check if TAEDEL502A covers content in BSBCMN401. TAEASS301 - Contribute to assessment (elective) - supersedes and is equivalent to TAEASS301B and TAEASS301A. TAEDEL301 - Provide work skill instruction (elective) - supersedes and is equivalent to TAEDEL301B and TAEDEL301A. If using the Diploma units as part of RPL, then currency for these units will also need to be proven – i.e. evidence submitted of using the Diploma units within the last three years. All learning resources will be provided as part of your course enrolment. You will need to provide your own laptop computer with wireless internet connection. TAE40110 Certificate IV in Training and Assessment qualification, including the full statement of results. All the above prerequisites must be uploaded to your online learning platform no later than two business days prior to the course date (for the blended program). Access to the full course curriculum and assessment tasks will not be granted until the prerequisites are provided. To avoid delays in getting started, falling behind in your studies and wasting your time during the course, prerequisites must be provided prior to your training day. 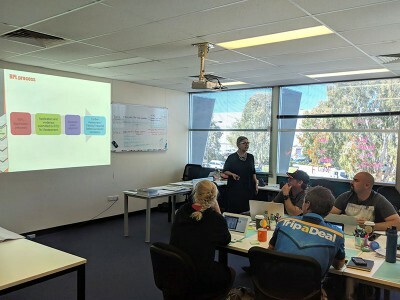 I found this such a positive training experience from the initial inquiry call to Pinnacle, the outstanding program development for the training program and the facilitation by Mary-Ann second to none! Found the facilities to be good and the trainer we had on the 2 days was excellent. Very helpful and took into account everyone’s level of knowledge and worked the group well. Highly recommend anyone wanting to do this course to use Pinnacle.